A design evolves when faced with constraints. 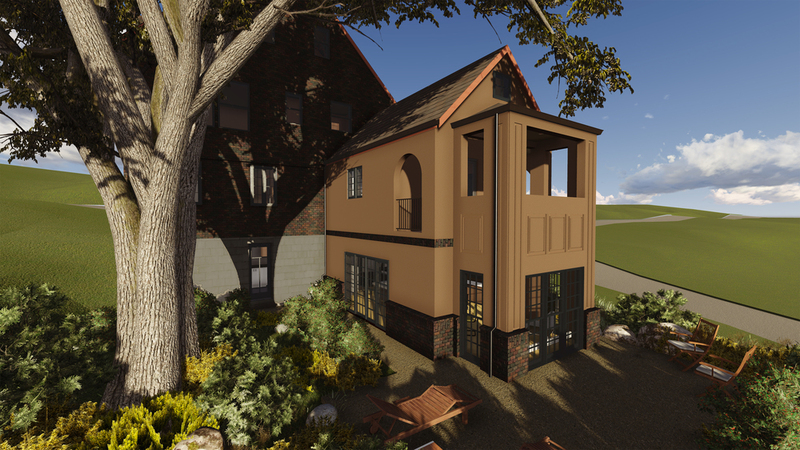 In this case, our client wished to add a two-story addition while preserving a large sycamore shade tree and second floor stained glass window. 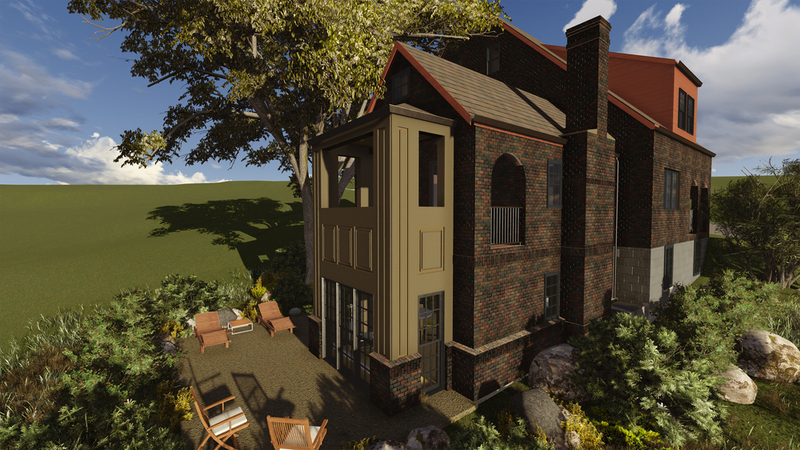 We have incorporated design elements of the existing home (including the breezeway arches and brick detailing) with these constraints to develop an addition that complements and enhances the property.